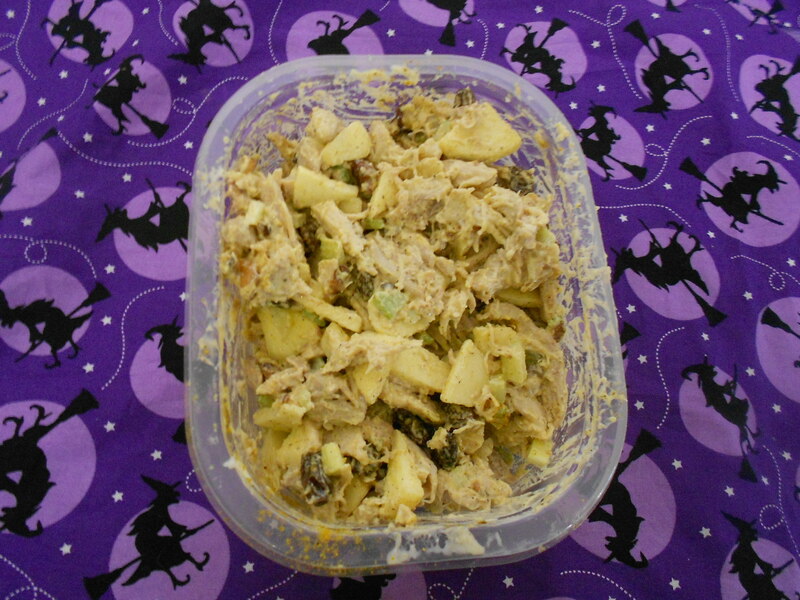 Welcome to my Homemade Halloween recap. To be fair, maybe I should call it “Semi-Homemade” Halloween, because both Snaggle and Sunny’s costumes were a combination of things bought and made by yours truly. It was my first time making costumes for Halloween. I don’t consider myself an apparel sewer — heck, I’m a “rudimentary” crafty sewer at best, quite rough around the edges — so I was pretty proud of myself this year. Sunny was a ragdoll. 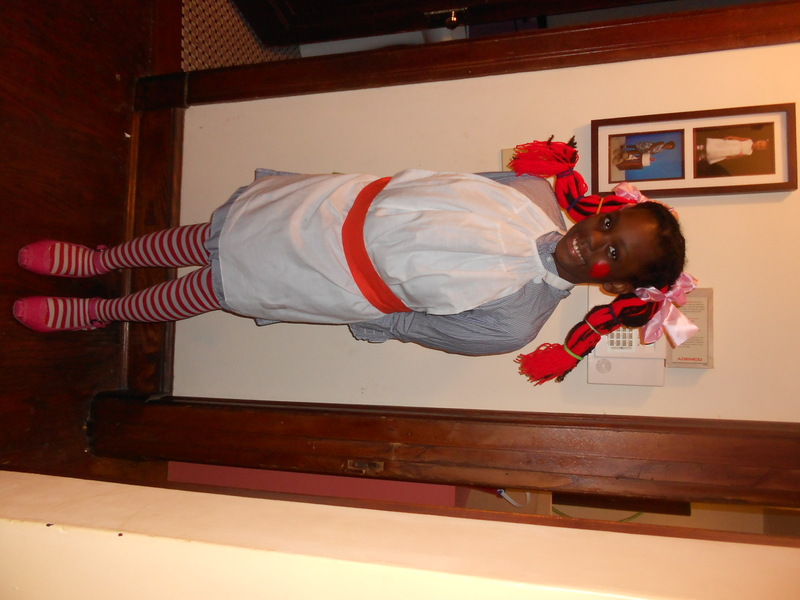 I made the apron and purchased the tights at a party store and the tunic/dress at the thrift store. The bonus is that she can wear the dress through the winter (though it works better as a long shirt)! Still, not bad for 5 buckaroos. 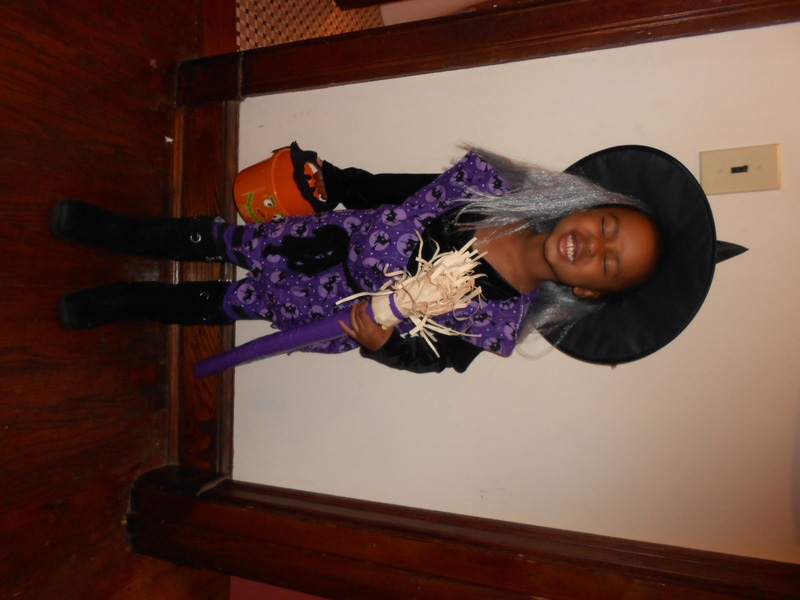 Snaggle was a witch, and I made her a tunic thingamajig and a witch’s broom as a prop. I bought the hat and tights at Walmart and the shirt at the thrift store. Stay tuned for posts where I show how I made the apron, tunic and broom. It was really fun making the costumes. The best homemade costumes make you smile or even chuckle to yourself when you see them. I never made a big deal about Halloween before, but seeing how much fun the kids had when they dress as something else made me wish I had gotten into it sooner. 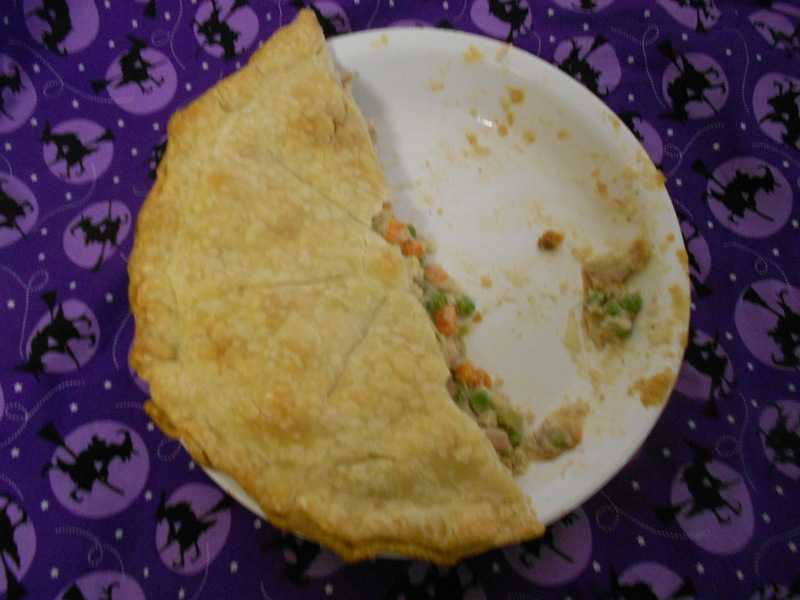 By the way, don’t think of this post as being late for Halloween 2011, think of it as early for Halloween 2012, or 2013, or even 2014 for that matter. One thing I learned this year is that you can never get started making the costumes too early. Snaggle and Sunny have already started tossing around ideas for next year — so far the plan is for them to be Ketchup and Mustard….and for little Mamacita to be “Small Fry.” So cute! This entry was posted in Halloween, Sewing and tagged Homemade ragdoll costume, homemade witch costume, ragdoll halloween costume, witch halloween costume on November 9, 2011 by crunchysoul. Mamacita turned one back in May. We did a small party at the house — which was more of an excuse to see some of my friends that I never get to see. Hey, Mamacita is only one, it’s not like she cares that more of my friends were there :-) Plus, I find it’s good to host a function every now and then because it motivates us to clean the house. Seriously. 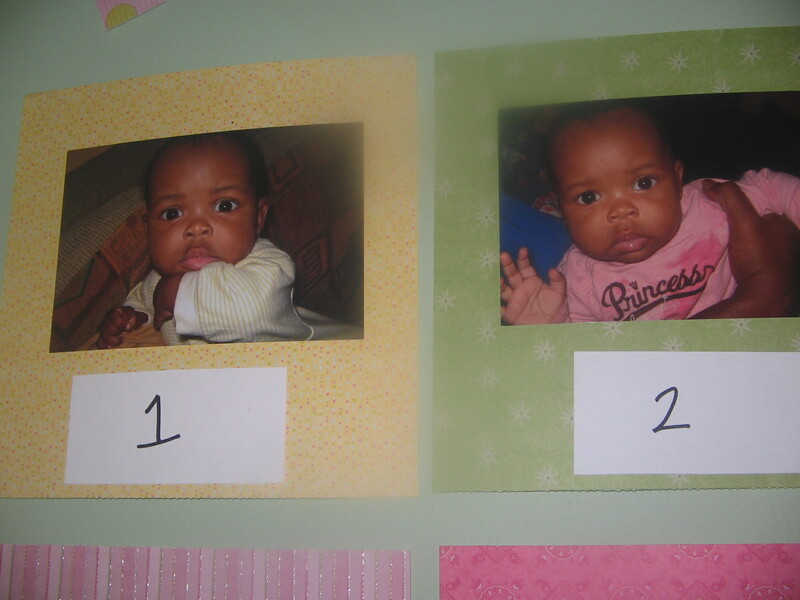 Now, when Mamacita was born, I had the idea to take a picture of her on the same day each month to track her growth. Actually, I had this idea with Snaggle, but didn’t follow through and the picture-taking fell off quickly. I feel bad about that, but Snaggle was my first and I didn’t know what the heck I was doing. I’ll forgive myself for that. Luckily, Shutterfly sent me a coupon for 50 free photos a few weeks before Mamacita’s birthday. I decided it would be fun to do a matching game that would serve as a passive activity at the party — which was really more of a laid-back cookout without too much structure. It would also do double duty as a party decoration. I had a book of 8 x 8 decorative cardstock that I had bought on a whim on sale at A.C. Moore a few months ago. 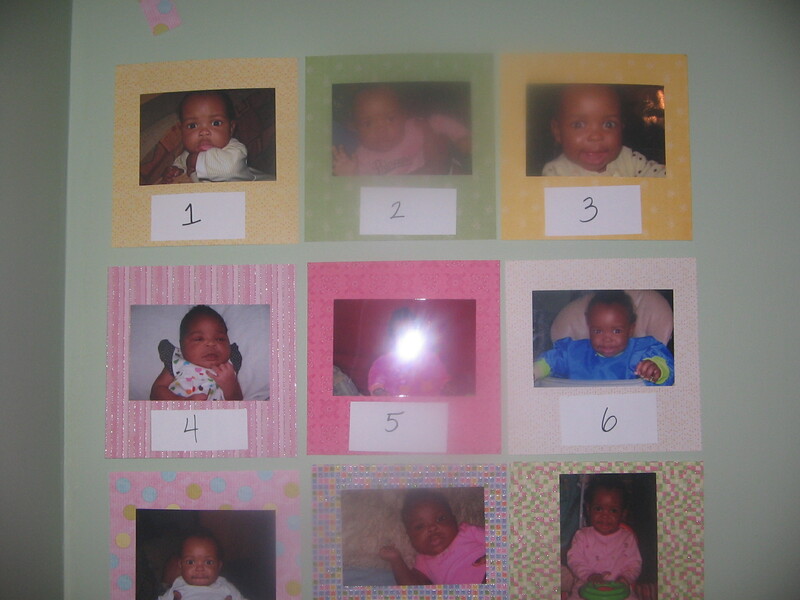 I used 12 of these sheets and pasted one photo of Mamacita to each page — the 12 photos were for months 0 – 11. I assigned each of the photos a number. 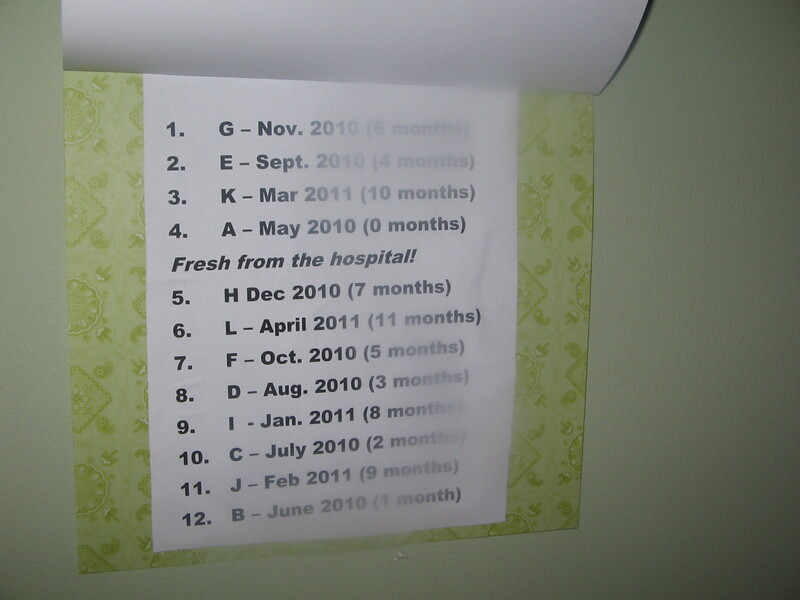 The month by month picture, with random numbers assigned. 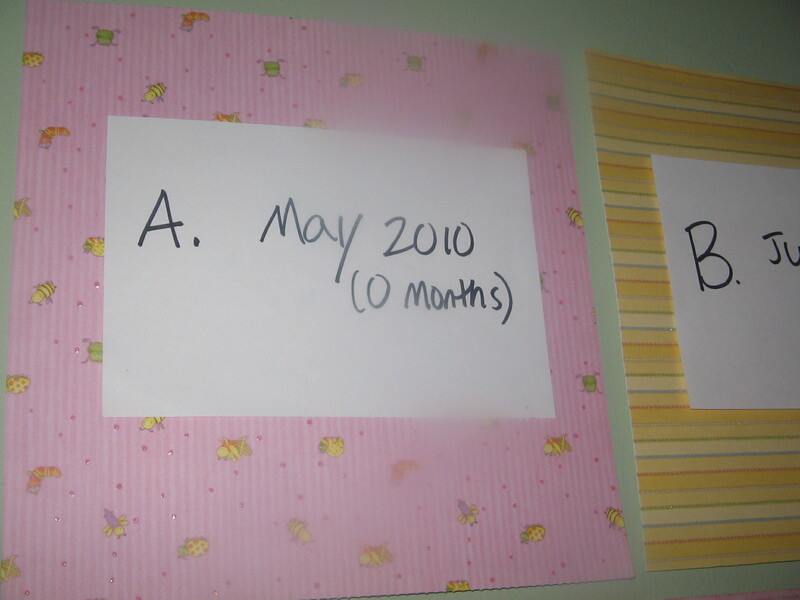 Then I took 12 index cards and wrote out each month and Mamacita’s corresponding age — for Example “May 2010 – 0 months”; “June 2010 – 1 month” and so on. 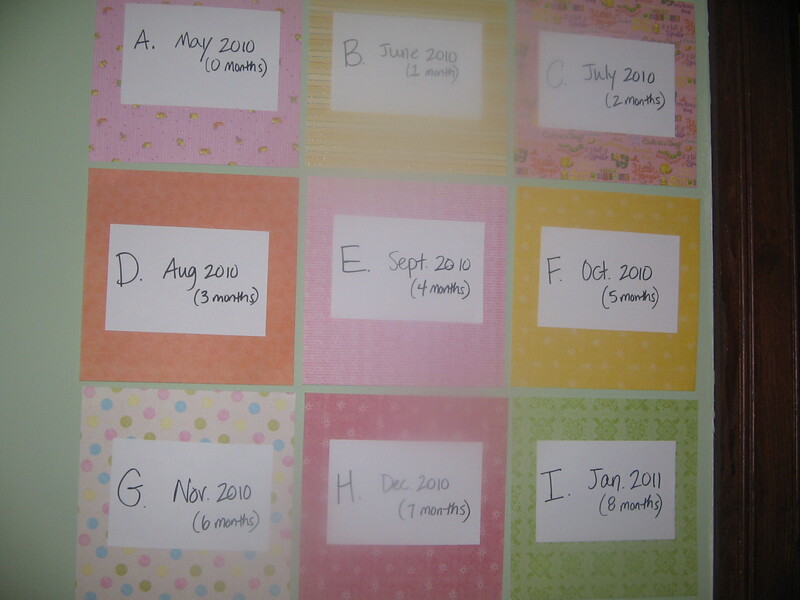 I gave each index card a letter and pasted them on 12 more pieces of cardstock. 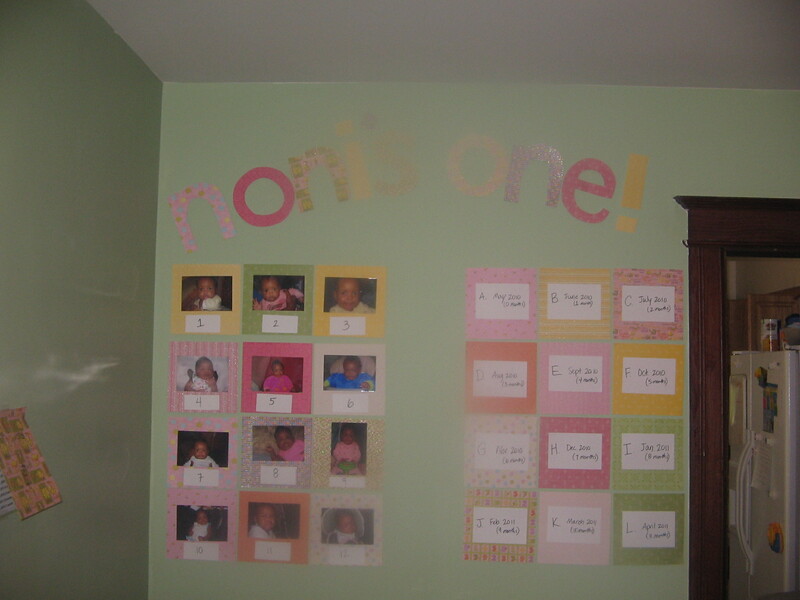 I put up the photos on the left side of the wall, and the index cards on the right side of the wall. Here’s how it looks all together. People didn’t really play it competitively as a formal game, but I think folks got a kick out of it. After I took them down from the wall (a good six weeks after the party was over!) I put them in an 8×8 scrapbook. I figure Mamacita will get a kick out of looking at it when she gets older. Apologies for the fuzziness on the pictures. This camera was on its last legs, but was the only one I had at the time. I hope you like this idea. Please let me know what you think, and I’d definitely love to hear from anyone who tries this! This entry was posted in birthday party, paper crafts and tagged birthday party on October 21, 2011 by crunchysoul.